This is the fifth and final in a series of posts sharing what I learned from author Deb Harkness during a week-long Master Class at Hedgebrook. Here are part 1, part 2, part 3 and part 4 in case you missed them. Our final class was an open forum for various topics, so if this looks disorganized, that’s because we were just asking whatever came to mind. We had Deb’s expertise and we were going to take advantage of it! We spent a fair amount of time talking about how to know which point of view to tell your story in, and along with that, whether to write in past or present tense. Refresher: the three main points of view are first person, third person limited and third person omniscient (this really isn’t used much anymore, so we didn’t talk about it.) Past tense is the traditional verb choice, but present is gaining in popularity. From my experience as a reader, present tense has to be done well for it not to be annoying. I wish I could tell you what I mean by that, but I can’t; I just know it when I see it. Deb seems to be a third person fan – in fact she said if she had it to do over again, she’d write the All Souls trilogy in third person. I on, the other hand, I write in first person (so far, who knows for the future). Deb said she believes we’re seeing first person fatigue among readers and editors. Personally, I like reading first-person accounts because they are more intimate, but that’s just my opinion. Each point of view has its positives and negatives. First person has serious limitations because you can only write about what your main character sees or is present for. In order to show other things, you have to rely on reports, hearsay, letters, conversation or exposition. In addition, because you are writing from within one person’s mind, all other characters are at least somewhat opaque. However, there is a deep sense of living the events along with the main character. I find it very helpful if you specifically want to tell one person’s side of the story or if you are chronicling a life. What third person lacks in intimacy, it makes up for in versatility. Limited third person allows you to change point of view and weight it more toward one character when you need to. A small twist puts you in a different point of view. If you have a lot of locations or things that your character doesn’t have access to in your plot, use third person. You can get the same immediacy of a character seeing something first hand if you have another character ask something like “is that a pirate ship in the harbor?” and then give a description. Deb is quick to remind writers that point of view isn’t written in stone. “It’s a tool and method of discovery, not a straightjacket or a contract.” You can switch back and forth in the drafting process, so long as you’re consistent by the time you’re ready to send your work to anyone else to read. For example, if you are writing in third person and are having trouble identifying with your character, she suggests writing a scene or chapter in first person. You can always change it later. (In fact, she wrote the opening of Book of Life from eight different characters’ points of view before she finally hit on the one that worked.) She says when you find the right point of view, you’ll know. One thing eliminate from your writing (especially when writing in first person) is what Deb calls “neck and above sentence structure.” This includes phrases like “I noticed, I saw, I smelled, I tasted, etc.” When you do this, you are filtering the experience through the thoughts of the character rather than letting the reader see through their eyes. This is a tough habit to break, but it is possible. I still do it occasionally, but I’ve learned that writing the other way really does have more impact. Deb says that if you find yourself slipping into this habit repeatedly, you may want to consider switching to third person. If you’re using letters in your novel, make sure they do some work for your plot, preferably beyond just revealing information. Otherwise they are just a gimmick. Deb suggests writing a biography for your characters when you are starting to get to know them. She suggests striking through, rather than deleting, things when details change so that you can always see your changes if you need to. When researching, take a picture of the cover and table of contents of each book to help refresh your memory in case you are wondering where you got something from or need to reference it again later. Asking questions will help you get to know your characters. Let them answer you. Then probe them as to why. Deb’s last piece of advice to us was, “Don’t go shingle shopping before you’ve bought the house.” By that she means, don’t get hung up on the details before you have the main structure of the characters and plot in place. I think that’s a great way to keep your priorities straight when writing, especially in historical fiction, where it’s tempting to keep researching forever. I hope you’ve enjoyed this series and were able to take something away from Deb’s wisdom. I wish every single one of you could have been with me at Hedgebrook. Don’t forget that Deb will be on tour this summer promoting Book of Life, so you may just get the chance to meet her in person! What do you think of Deb’s lesson on point of view, and her other tips? Do you agree or disagree? Why? What have your experiences been with different POVs in reading or writing? This is the third in a series of posts sharing what I learned from author Deb Harkness during a week-long Master Class at Hedgebrook. Here’s part 1 and part 2 in case you missed them. Day three at Hedgebrook was all about setting, plus Deb gave us some additional research tips, which I will share here. Setting is actually my second favorite part of writing, next to character. I’ve been told by editors that I have a talent for writing beautiful descriptions of place (I’ll take that compliment), but as with anything else, it needs to be done carefully. Too much and you will bore your reader; too little and they won’t be immersed in your world. Deb describes setting as “putting your story in fancy dress.” It not only includes the room, weather, time period and location, but also things like dialect and costuming. In historical fiction, you need to be deliberate in your deployment of historical details. Too much (especially with dialect) will distance the reader; less is more. Like every word in your book, your setting has to do some work. It shouldn’t just be there for its own sake. Write your description, then go back and look at all you’ve written. Pick out only three things that are important and think about why they are important. The “why” is just as important as the “what” in constructing a good setting. If your description stands in for character development, plot or dialogue, delete it. These three things are much more important than description. Wikipedia – Yes, she really did recommend this. Using keywords or names, it’s a great place to look for books (fiction and non-fiction) that have been published in a given area/topic. 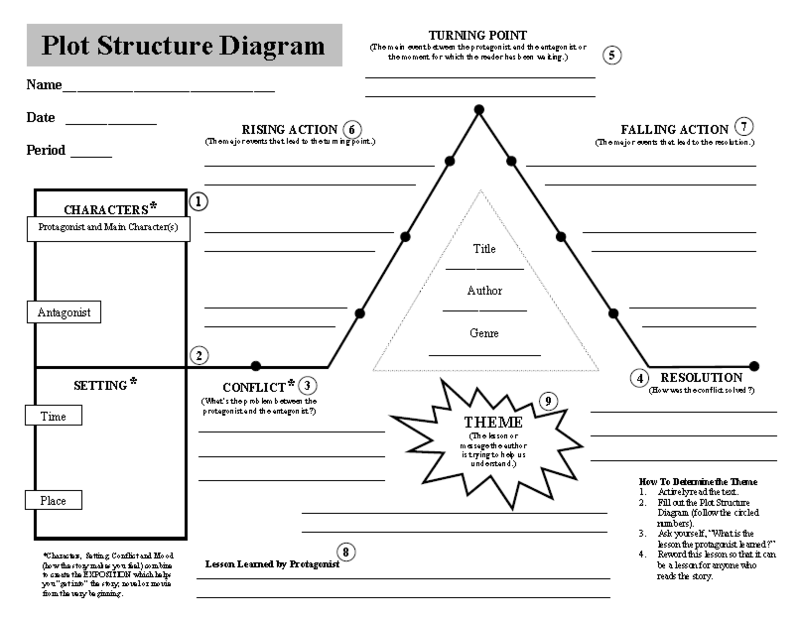 It’s also great for “creating the scaffolding” of your story. But double check facts with other sources and don’t rely on it for interpretations of historical events. Abe Books – Great source for books written by antiquarians which will give you a lot of time period detail. Local historians – They can often give you detail you won’t even find in books because history is to them a living, breathing thing that they interact with regularly through their location. Amazon – (I wrote a blog post about it as a research tool a while back.) Deb suggests sorting your results by date, rather than relevance, and looking for new scholarship. If you are writing about/looking for information on women, family, household life, etc., look for books written after 1974, which is when the old male-dominated mindsets in research began to change. Also, don’t rely on conduct books from a given time period. They often reflect the ideal woman/child/family, rather than reality. Google Books – It gives you access to at least parts of thousands of books, including Harvard’s entire collection prior to 1890. Local library’s database collection – Your local public and/or college library should have a good database collection. If you need help with a specific topic or aren’t sure how to access the databases, talk to the reference librarian. That’s what he/she is there for. Church of Latter Day Saints – Their records include London’s register from the 16th century on and their libraries are gold mines. You can also find some of their information on ancestry.com if you do a family search. Primary sources – Always read first-hand accounts, if such a thing exists. Primary sources such as letters, journals, and novels written by women are ideal to get a feel for the time and the people. Newspapers – If they existed in your time, use them. Many are being digitized. Three months of issues will give you a lot to work from. Writing isn’t the only thing a writer needs to do. Reading, watching a bird, staring at the fire (or anything else that lets you dream/imagine/use your brain) are part of your job. Next week: Deb’s lecture on worldview. What do you think of Deb’s advise on setting and research? How do your favorite authors handle setting? As a reader, what do you like/dislike? If you’re a writer, did you learn anything from Deb’s research tips? This is the second in a series of posts sharing what I learned from author Deb Harkness during a week-long Master Class at Hedgebrook. Here’s part 1 in case you missed it. The elements of a historical narrative are the same as the story historians construct about the evidence they have found. We tend to think of history as what really happened, but a lot of times we just can’t know, even with a lot of evidence. Many times the evidence, even eyewitness testimony, is contradictory. That’s why historians look at evidence and then go back later and construct a narrative to tell a particular story. Like historical fiction writers, they end up leaving 99% of what they’ve learned off the page. It may sound like they aren’t being true if that’s the case, but if they included it all the book would be overwhelmingly lengthy and boring. They, like fiction writers, have to stick to a central point or purpose and only radiate out so far from that, and only when doing so enriches the overall point they are trying to make. There are tons of traditional plot models out there, but Deb told us none of her books follow any of them. She believes that is a perfectly valid choice for an author to make. (Honestly, my books don’t either.) 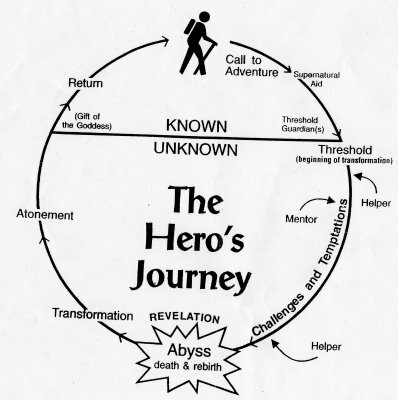 We explored the traditional three act structure, the hero’s journey (often used in fantasy) and a basic plot structure and talked about how they are alike and how they differ. (By the way, the images I’m linking to here are the exact ones Deb gave us as handouts, so you can pretend like you were there with us.) It’s a good idea to at least familiarize yourself with the elements of these and other models so that you know the basics of what’s expected from a story, even if yours doesn’t fit neatly into one of them. Work outside of genre – This is what Deb does. It tends to give you more freedom in length and what you can and can’t do, but it can also be difficult for agents and publishers to classify when it comes time to sell it. Work against genre – In order to do this, you need to know the rules of the genre well. After all, you can’t break rules (well) you don’t know or understand. And if you break them badly, you won’t have a story people want to read. History defines the outer limits of where you can go in historical fiction. Within in historical fiction, your sub-genre (fantasy, romance, mystery, thriller, etc.) constrains the genre. In other words, if you’re writing historical fantasy (as I do), you’re still subject to the general rules of fantasy writing; you just happen to be setting your fantasy in another time period. History that is going on around you that shapes what you eat, wear, etc. – This affects everyone. For example, if I was setting a book in pre-Roman Britain, my Celts would likely not eat onions or celery because the Romans brought those to Britain. However, because my Arthur and Guinevere live after the Roman invasion, it’s logical they could eat those things. History you are a direct participant in – Fewer people will be part of a battle or other significant event. This could be due to their station in life, or they might just happen to live where something of import takes place and get caught up in it. For example, because they are rulers, both Arthur and Guinevere are active participants in the historical battle of Mount Badon. Doing historical things – Deb gave the examples of being a blacksmith, riding side saddle or teaching in a one room schoolhouse. These are things that you wouldn’t really know are historic while you are doing them. It’s only by looking back through history that we can define them as historic. For example, Guinevere is a Druid priestess. To her, that is a natural part of her religion. Only to us, 1,500 years later, is this considered historical. This is a continuum. Characters can move on it and different characters can be in different categories at the same time as one another. So your main characters might be doing historic things or being directly involved in historic events, while your secondary characters are only doing historic things. Or your main character may always be doing historic things, but those historic things might change in the course of the book as the history that is going on around him or her affects his/her life. We all know this, but it bears repeating, especially in the context of historical fiction: history for history’s sake is boring. You may be impressed by what you know, but you will lose the story and your readers if you include all of it. (This is why I started this blog, so that I had something to do with all that extra knowledge and didn’t feel like it was going to waste if it didn’t end up on the page.) Pick the historical things that allow your character to work within your plot. History is a pot of resources you can dip into to find something that makes your characters work i.e. show something about a relationship, help in character development. It shouldn’t be there just because you learned it. Deb’s tip: Look at your WIP and start reading at page 151. What before that is truly necessary and what is you writing to get to where you need to be? Delete anything that isn’t absolutely essential. Trivia: Deb told us that A Discovery of Witches originally had a lot more of Diana at the library at the beginning, but she cut it because nothing was happening. Create a file or a book for yourself that is your “bible” with all the information about your characters, plot, and references so you can easily refer back while writing and editing. If you’re going to use something extraordinary like time travel, magic or reincarnation in your story it has to have a reason beyond you wanting to do it. It has to add something to the story. Letting information out slowly over time is always better than a dream, flashback or other contrived tool. Next week: What Deb taught us about setting. What do you think about Deb’s advice on plot and history? Writers, what tips do you have? What’s worked for you? Readers, what do you like the best in the plots of the books you read? What annoys you? I received permission from Hedgebrook, Deb and my classmates to post a series of blogs about what we learned from Deb during our Master Class called Past Tense: History as Resource and Inspiration. Since she covered a different topic every day, that’s how I’m going to present them to you. She purposefully taught us different aspects of creative writing in the order she feels they are most important. Before Deb got into the specifics of her first topic, she gave us a nice lecture about how we are perfectly qualified, as storytellers, to write historical fiction even though we’re not historians. I touched on that a little in my first post about the Master Class, but I’ll add a few details here. Non-historians tend to think of history as right and wrong; historians know no such thing exists. History is an interpreted discipline in which they make an argument based on what they can back up with evidence. Circumstantial evidence doesn’t count for them, but it is a boon for historical fiction writers. It is our job to “write between the gaps,” as one of my follow writers said. Novelists need to take authority over our story and characters and give up on the idea that historians have “the truth.” If it is not historically impossible, then for us, it is historically possible. It is our job to make it believable. She emphasized that history should be a tool and not an obstacle. Our first job is to tell a great story. For that reason, any historical fiction story should be able to be set in contemporary times and still make sense. That is how we know the story itself is solid. The history simply places in another time. Deb is a character-driven writer, meaning that for her, stories begin with and are propelled by the characters and their journey. The plot arises from what they do, rather than being thrust on them. (I’m a character-driven writer as well.) Her main point is that if your readers don’t care about the characters, all you’ve done is write history. The characters are what people relate to as they read your story. In order for your characters to have integrity, they must be real, three-dimensional people who are consistent and make decisions that ring true, even if you don’t always agree with them. She believes that oftentimes readers are willing to trust historical fiction authors with history because they trust the characters. They are willing to forgive and forget a lot, but usually not a character that doesn’t speak to them. History can give us the basis for creating characters, whether we pull them straight from history or use it as the context of the lives of fictional characters. Either way, when used correctly, historical details reveal things about the characters. One character development tool Deb introduced us to is the Proust questionnaire. I’ve seen lots of lists of questions to interview your characters with, but this one was new to me. (Interestingly, this is what part of the interviews on Inside the Actor’s Studio are based on.) The idea is that by answering these questions, you begin to learn what makes your characters tick and see patterns in their lives. Most of what you answer won’t end up in your book, but knowing this information will help you start immersing yourself in their world. The better you can do that, the more believable and real your characters will be. She ended our first lecture by reiterating her belief that (at least in character driven fiction) the character’s journey transcends all the other stuff: the setting, the plot, the historical context. She taught us about each of those, but set the tone by teaching us their place: they are all secondary to character. Next week: Plot and history. Random bit of trivia: Deb doesn’t outline. She says her stories evolve as she goes and does lots of editing. What do you think about Deb’s thoughts on historical fiction, history and character? Do you agree or disagree? Why? Did anything you read here strike you as important or unusual? Please tell me your reactions in the comments.